The versatility of quantum cascade lasers make them a good choice for the mid-infrared region. Since its first successful operation in 1960 at Hughes Research Labs, the laser has been at the center of innovation and research. 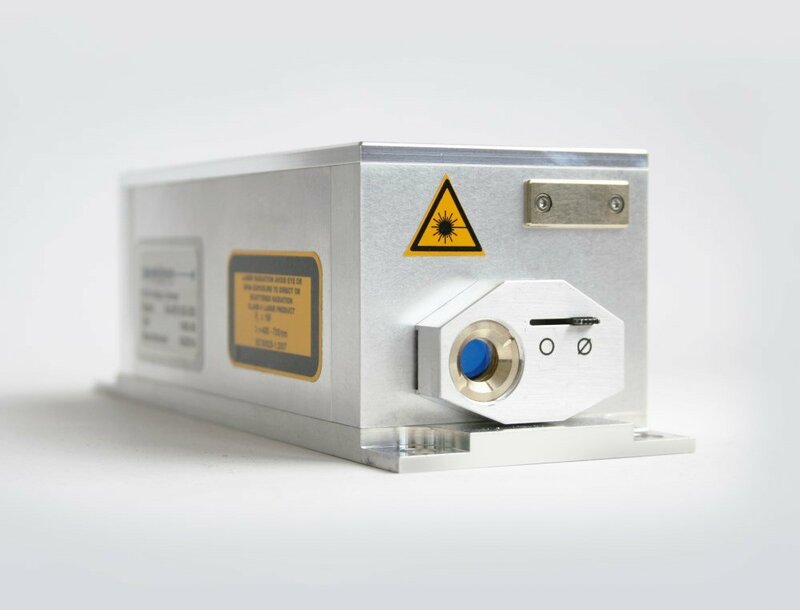 Semiconductor lasers first made their appearance in 1962 when Robert N. Hall introduced the first gallium arsenide laser diode.1 Ultimately, these early semiconductor lasers would be too impractical to use, requiring cryogenic temperatures to operate. 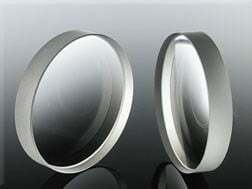 In 1970, Izuo Hayashi and Morton Panish of Bell Laboratories succeeded in creating a laser diode that could operate at room temperature; the breakthrough was in creating a double heterostructure by sandwiching a thin active layer of gallium arsenide between two layers of a dissimilar semiconductor.2 The boundaries between the two semiconductors, also known as heterojunctions, confined both the charge carriers and the generated light to the active layer, resulting in greater amplification of light. Variations and improvements of the active layer was the subject of much research, and in 1971 R.F. Kazarinov and R.A. Suris proposed the idea of using a series of incredibly thin heterostructures to confine electrons – quantum wells.3 It wasn’t until 1994 that J. Faist and F. Capasso at Bell Laboratories demonstrated the first quantum cascade laser (QCL) using electron transitions within quantum wells.4 Advances in growth techniques such as metallorganic vapor phase epitaxy (MOVPE or MOCVD) provided the precise thickness control needed to design these structures. Early quantum cascade lasers required cryogenic temperatures for continuous operation, but by 2002 J. Faist’s group had designed an active layer structure suitable for continuous operation at room temperature.5 Since their introduction, QCLs have been fabricated with emission ranging from the mid-infrared (MIR) to terahertz regions. Advances in fabrication techniques coupled with the versatility of the QCL’s emission range have made it an attractive laser source with potential for use in a variety of MIR applications. Figure 1. (a) Stationary electrons in quantum wells with no electric field applied. (b) Electric field is applied across the active region. Electrons undergo a radiative transition in each quantum well (red arrow) before tunneling to the next quantum well (blue arrow). Designing the QCL with a distributed feedback (DFB) structure and internal thermoelectric cooler allows for continuous wave (CW) operation with single mode output. The DFB structure refers to a diffraction grating buried within the device to isolate the emission wavelength, with a small range of wavelength tunability due to the temperature dispersion in the effective refractive index of the laser medium (Figure 2). Heat generated by the drive current can locally change the laser chip temperature and precise control of both the drive current and the thermoelectric cooler is needed to fine-tune the emission wavelength. The drive current of a pulsed QCL with low duty cycle generates much less heat and can operate with a smaller capacity thermoelectric cooler. Figure 2. Emission wave number of a 4.33 µm CW-driven DFB QCL as a function of device temperature and drive current. 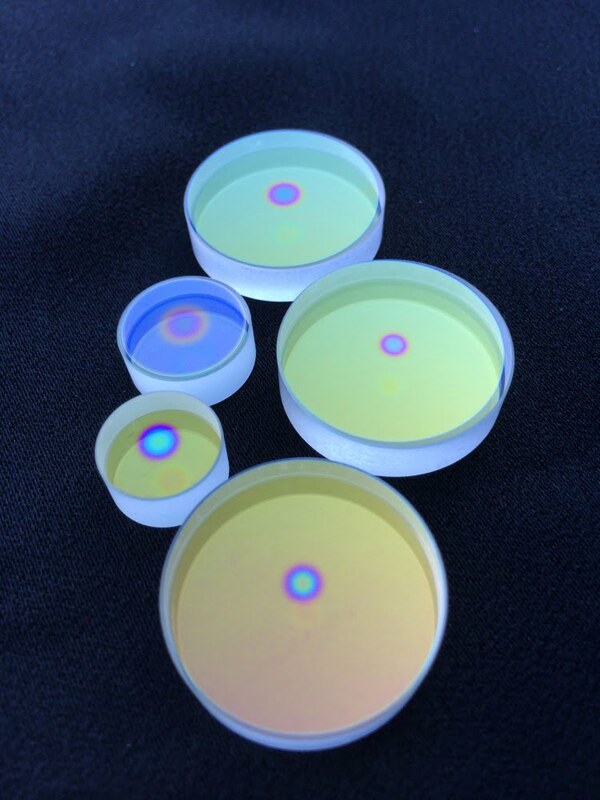 The characteristically narrow linewidth of a QCL, or width of its optical spectrum, has made it a promising MIR light source for gas phase spectroscopy applications, where high spectral resolution is necessary to differentiate between absorption lines of molecules. Using a MIR source allows for measurement of stronger absorption from the fundamental vibrations, the molecular “fingerprint,” with a very short path length needed for analysis. This also allows for analysis of very low concentrations at longer path lengths and concentrations that are not possible by other MIR measurement techniques. The use of an external cavity configuration with a QCL, where the output wavelength is selected with the aid of a diffraction grating, allows for use of the laser’s entire spectral gain resulting in broader tunability from one device. Environmental – A central application of laser absorption spectroscopy with QCLs has been for monitoring gases of environmental concern.7 Figure 3 shows absorption measurements of two well-known greenhouse gases, nitrous oxide (N2O) and methane (CH4).8 A 7.87 µm QCL was used for these measurements, sweeping the wavelength over a 0.5 cm-1 (3 nm) range while passing the laser’s output through a gas cell and then measured with a mercury cadmium telluride (MCT) detector. Utilizing even a small wavelength range like 3 nm allows for simultaneous detection of two separate gases with a relatively simple and compact system compared to traditional MIR methods. Figure 3. Absorption spectrometric results of nitrous oxide (N2O) and methane (CH4) in air obtained using a 7.87 µm CW-driven DFB QCL. The ability to measure trace gases in the atmosphere played an important role in studying the air quality in Beijing during the 2008 Olympics, for which Anna Michel’s group from the Center for Mid-Infrared Technologies for Health and the Environment developed a QCL-based open path remote sensor.9 Leading up to the Olympic Games, China’s air quality came under scrutiny, prompting the Chinese government to make substantial modifications for the duration of the games. This presented a unique opportunity to observe and quantify the effects of these modifications on air quality, which included closing factories and limiting vehicle traffic in Beijing. Michel’s team designed their sensor using a tunable QCL to continuously monitor water vapor, ozone, ammonia and carbon dioxide with the capability to measure parts-per-billion levels of fluctuation.10 Using a QCL also enabled the sensor to make an integrated measurement over a long distance, offering a benefit over the existing gas sensors that could only make a measurement at a fixed point. Measurements were taken alongside a commercially available fixed-point sensor, validating the new open-path sensor. Figure 4. QCL-based open-path sensor makes mobile measurements of various gases in the field. Courtesy of Prof. Zondlo’s group at Princeton University. Similar open-path sensors have been developed using a variety of techniques to overcome transmission variations in field measurements. Nikodem et al. introduced the method of Chirped Laser Dispersion Spectroscopy to quantify dispersion in at the surface of a medium irradiated by a DFB QCL.11 Dispersion measurements can then be used to quantify concentration of the absorbing medium or gas, without a need for direct absorption measurements. Nikodem’s system was deployed in field experiments where parts per billion by volume levels of concentration were measured despite large fluctuations in transmission due to environmental conditions. Hyperspectral imaging (HSI), a technique of collecting information over a spectrum for an entire image or field, has also seen benefits when combined with a QCL. Goyal et al. developed a HSI system that used a QCL array to actively illuminate their scene.14 The same unique absorption fingerprints seen over the MIR range help to identify chemicals and compounds with HSI, collecting absorption information for an entire scene over a spectrum. While thermal imaging assists in locating an object of interest within a scene, taking that image over a spectrum with HSI would not only locate the object but also help identify the material based on its absorption characteristics. Goyal used an array of QCLs instead of a tunable external cavity QCL to facilitate wavelength beam combining, which was paired with a digital-pixel focal-plane array camera. The high frame rate of the camera coupled with high-speed wavelength tuning of the QCL array resulted in faster acquisition of HSI cubes. In the field, faster acquisition would translate to faster detection, and potentially identification, of explosive materials and chemical agents. Biological – The QCL has been used in many novel biological and medical applications in recent years, even playing an important part in the quest for a noninvasive blood glucose monitoring solution. In 2012, Pleitez et al. published results using a tunable external cavity QCL to measure levels of glucose in the interstitial layer of human skin.15 The study used photoacoustic spectroscopy, coupling a photoacoustic gas cell with a pulsed QCL as the excitation source on the skin. The absorbance by the skin was measured at the key absorption lines to determine the concentrations of glucose in the interstitial fluid, which follows the levels of blood glucose closely.16 Additionally, using a QCL in the infrared region of interest for glucose (1000 to 1220 cm-1) resulted in laser energies that were sufficient to make measurements but did not hurt or alter the skin. Another biological application of QCLs came from the Medical Beam Physics Laboratory at Osaka University where Hashimura et al. proposed use of a 5.7 µm QCL as a laser scalpel.17 The QCL laser scalpel was tested on chicken breast tissue and resulted in soft tissue ablation similar to that of clinical CO2 lasers. The study targeted absorption bands of esters, amides and water in the 5 to 7 µm range, expecting better cutting efficiency of soft tissue compared to conventional clinical lasers. The QCL still produced thermal effects comparable to that of a CO2 laser, while other studies have already identified MIR laser systems that can achieve soft tissue ablation with less thermal damage.18 Future improvements in the peak power of a QCL in this wavelength range would mean a lower number of pulses needed to vaporize tissue, decreasing exposure and thermal damage to surrounding tissue. Watch a video definition of quantum cascade lasers. 1. Hall, Robert N. et al. (1962) Coherent light emission from GaAs junctions. Physical Review Letters 9.9 p. 366. 2. Hayashi, I. et al. (1970) Junction lasers which operate continuously at room temperature. Applied Physics Letters 17.3, pp. 109-111. 3. Kazarinov, R. F., and R. A. Suris. (1971) Possibility of the amplification of electromagnetic waves in a semiconductor with a superlattice. pp. 707-709. 4. Faist, Jerome et al. (1994) Quantum cascade laser. Science 264.5158, pp.553-556. 5. Beck, Mattias et al. (2002) Continuous wave operation of a mid-infrared semiconductor laser at room temperature. Science 295.5553 301-305. 6. Kruczek, Tomasz et al. (2012) 3190-3275 nm tunable, room temperature, external cavity InAs/AlSb Quantum Cascade Laser. CLEO: Science and Innovations. Optical Society of America. 7. N. Akikusa, T. Edamura, A. Sugiyama, T. Ochiai, K. Fujita, K. Uehara, and H. Kan. (2007) Florence, Italy. Field Laser Applications in Industry and Research 2007, p. 68. 8. WHO Greenhouse Gas Annual Report No. 5. 9. Michel, A. P. et al. (2009) Measurement of Urban Air Quality by an Open-Path Quantum Cascade Laser Absorption Spectrometer in Beijing During Summer 2008. AGU Spring Meeting Abstracts. Vol. 1. 10. Michel, Anna P. et al. (2009) Design and deployment of a quantum cascade laser absorption spectrometer in an open-path sensor system for trace gas analysis. Conference on Lasers and Electro-Optics. Optical Society of America. 11. Nikodem, Michal, and Gerard Wysocki. Chirped laser dispersion spectroscopy for remote open-path trace-gas sensing. Sensors 12.12 (2012): 16466-16481. 12. Papantonakis, Michael R. et al. (2009) Stand-off detection of trace explosives by infrared photothermal imaging. SPIE Defense, Security, and Sensing. International Society for Optics and Photonics. 13. Mukherjee, Anadi, Steven Von der Porten, and C. Kumar N. Patel. (2010) Standoff detection of explosive substances at distances of up to 150 m. Applied Optics 49.11, pp. 2072-2078. 14. Goyal, Anish et al. (2014) Active hyperspectral imaging using a quantum cascade laser (QCL) array and digital-pixel focal plane array (DFPA) camera. Optics Express 22., pp. 14392-14401. 15. Pleitez, Miguel A. et al. (2012) In vivo noninvasive monitoring of glucose concentration in human epidermis by mid-infrared pulsed photoacoustic spectroscopy. Analytical chemistry 85.2, pp. 1013-1020. 16. Heise, H. Michael et al. (2007) Bedside monitoring of subcutaneous interstitial glucose in healthy individuals using microdialysis and infrared spectrometry. Journal of Biomedical Optics 12.2, 024004-024004. 17. Hashimura, Keisuke et al. (2014) Coagulation and ablation of biological soft tissue by quantum cascade laser with peak wavelength of 5.7 μm. Journal of Innovative Optical Health Sciences 7.03, p. 1450029. 18. Kozub, John et al. (2011) Raman-shifted alexandrite laser for soft tissue ablation in the 6- to 7-µm wavelength range. Biomedical Optics Express 2.5, pp. 1275-1281. A method used in integrated optics; formed by growing an epitaxial layer of active material, removing it from its base and splicing it onto a passive substrate.